Does anyone use a personal computer anymore? You know, those big, clunky boxes that sit on or under a desk, connected to a keyboard, monitor and mouse? Apparently, fewer of us do. 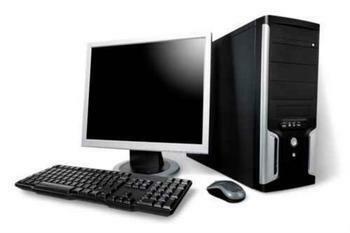 Gartner, Inc., reports global shipments of PCs dropped by 5.7% in the third quarter of this year. Not only is that a significant decline, it comes on the heels of eight straight quarterly drops in PC shipments. In the entire history of the PC industry, which admittedly isn't very long, that's the longest sales slide ever. Gartner analysts say the industry is facing ever-weakening demand, especially from consumers. "There are two fundamental issues that have impacted PC market results: the extension of the lifetime of the PC caused by the excess of consumer devices, and weak PC consumer demand in emerging markets," said Mikako Kitagawa, principal analyst at Gartner. Kitagawa cites other Gartner data showing the majority of consumers in developed countries use at least three different types of devices. He says of the three, the PC holds the least priority for consumers. Consumers, it seems, are using smartphones and tablets for their computing needs. And even many businesses have moved away from PCs to mobile devices. With a tablet, an employee is not tied to a desk, but can be productive as he or she moves around an office or retail store. So among PC manufacturers, there is likely to be a continued shake-out. Gartner reports Lenovo, HP, and Dell continue to be the market leaders. Of all manufacturers, Apple suffered the biggest decline in third quarter shipments – 13%. A separate Gartner report reveals that, while semiconductor chip spending is down slightly this year, it is expected to rebound in 2017. But the report makes clear the majority of those chips aren't going into PCs. Instead, Gartner says smartphones, mobile devices, solid-state drives, and the Internet of Things (IoT) will lead demand for semiconductors.